It is well known that unexpected problems may arise at any time during the event planning, and your time is precious! If you need to create an app and have little time available because of the event deadline approaching, Digivents has the solution for you! BASE version allows you to have your app and make it available in a few hours with no need for waiting the app stores validation times (Apple iTunes ,Google Play, etc.). Your event app will be published inside our Digivents app, and immediately available on the stores. What can I achieve as an event planner thanks to the application? Digivents, through specific “apps” developed for tablets and smartphones, allows attendees access to all the contents generally printed on paper. Attendees will be able to visualize updated information enriched with multimedia contents, thus greatly improving the user experience. Let your attendees know all the details about the event: date, program, logistics, etc. For the last minute changes (available for all contents) it is possible to manage them from the back-office and update the app in real time. You can define a standard, multiple or multisession agenda. 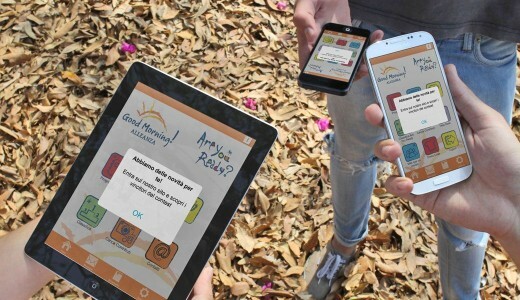 Users will be able to add each event to the agenda of their own device. Never again heavy handbags! Distribute all the event information digitally (documents, videos, pictures, slides, etc.). Practicality for your attendees and no stress for you due to the last minute changes. Visualize external web contents without leaving the app. Share your website, registration forms, tourist information, etc. If you have Twitter, Facebook, Google + or other social accounts, you will be able to share your news with the attendees. Keep in touch! Sponsors are important for your event and that’s why it is essential to reserve them prominent visibility on the app! Use Digivents as a tool to increase your sponsorship value. 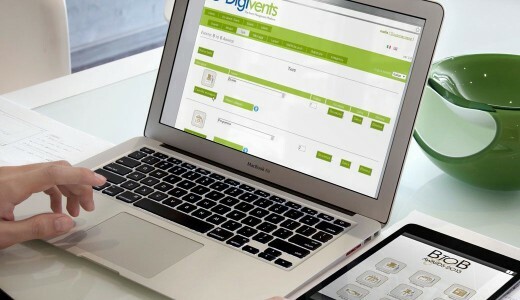 Digivents simplifies the interaction between the different actors of the event, organizers, attendees and sponsors by interactive questionnaires, games and social networking! Digivents allows you to associate a hashtag to each event: you will be able to access your wall and send tweets directly from the app! It is important for your guests to know they can contact you at any time, whether for an emergency or simply to request general information (e.g organizational or commercial info). Monitor the use of your app: number of app downloads, the most visualized contents, the type of devices etc. Improve contents quality according to your attendees feedback! This is a useful tool for your attendees that lets them highlight their favourite contents and makes it easier to visualize it whenever they need. Digivents is a native app: contents that have already been downloaded don’t need an internet connection to be visualized (except for external web resources). Contents can be updated before, during and after the event: the app will be automatically updated! Do you want to create a special app for your event? Thanks to this Digivents version you will be able to easily conciliate power and flexibility! Do you organize many events? Would you like your attendees to have a simple tool to also view your past events? Discover All Events version!